As we make our way into the winter season, and as the holidays approach, now is a great time to look back on your life and acknowledge what you are truly thankful for. Whether you just bought a new house, are doing great in your career, welcomed a new family member, or are just pleased with how life has played out, it’s important to give thanks where thanks is due! If you’re from Las Vegas or just moved to this desert city, you know there are many benefits of living in Las Vegas. The great weather, the low taxes, the entertainment opportunities, and the blossoming sports culture are just a few. No matter where you turn, there are countless opportunities and signs of greatness in Las Vegas. Don’t just take our word for it, there are plenty of people who are also grateful for this desert oasis! As we continue to give thanks for the city of Las Vegas in the remaining months of 2018 and into 2019, here are six reasons to move to Las Vegas. When compared to California, Florida, New York, and other heavily populated cities and states, Las Vegas residents can be thankful for the lack of traffic during commutes or leisurely travel. The odds of sitting in traffic for longer than an hour are very unlikely. Of course, just like any other growing city, Las Vegas does have a “rush hour” time period, but it still offers less traffic than its neighboring Golden State. According to Wallet Hub’s study of 2018’s Best & Worst Cities to Drive in, Las Vegas was ranked number 12 in overall rank and number 5 in traffic & infrastructure. In our opinion, that’s pretty good for a city that is widely growing. Locals will tell you that even when you’re sitting in “traffic,” it’s not really traffic when compared to the other major cities. If that’s not a compelling reason to move to Las Vegas, we don’t know what is! Another benefit of living in Las Vegas that we can be thankful for is the wide variety of demographics and amazing people that live in and travel to this city. This season, be thankful for the diversity, be thankful for different nationalities, and be thankful for different personalities! Las Vegas is a melting pot full of people from different backgrounds, with different ideas. 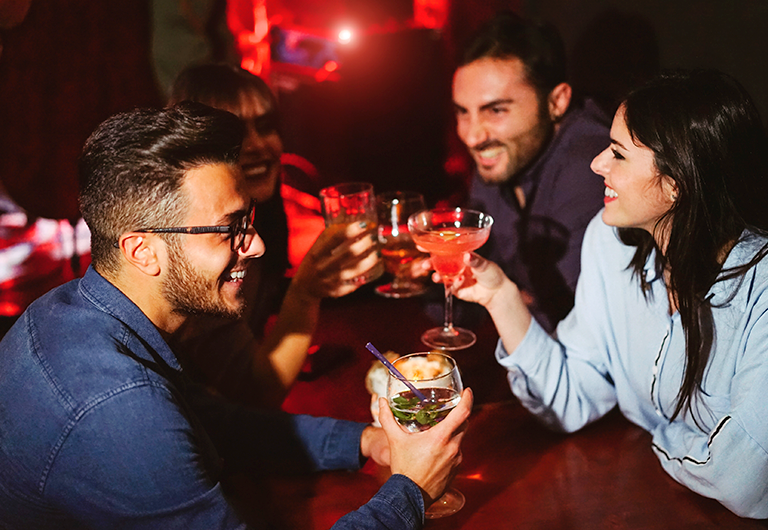 If you’re looking to get out on the town and make some new friends, check out Dino’s Lounge or Nevada Taste Site, in the Las Vegas Arts District! As the Las Vegas population grows, the racial composition continues to expand. In fact, Las Vegas is sometimes referred to as the 9th island of Hawaii because so many residents of the state visit the city of Las Vegas and end up staying for good. So next time you leave your home in the morning, are passing someone on your street, or just see a friendly face on the Strip, stop to say hello to your neighbor and give thanks for the variety of amazing people that live in your hometown. It’s Friday afternoon, you just got off work early, and you have the whole night ahead of you. “There’s just nothing to do around here,” is something that you will never hear coming for a Las Vegas local. This season, Las Vegans are giving thanks for living in the Entertainment Capital of the World. Whether you’re looking to see an unforgettable Cirque du Soleil show, explore a new (or old) casino, attend a Vegas Golden Knights hockey game, or maybe even explore some local hidden gems like the Golden Tiki or The Sand Dollar Lounge tucked away in Chinatown, Las Vegas has endless places to have a good time! With so many entertainment options to choose from, it’s easy to be thankful for the walkability aspect of many areas in this city. Living in a home at Juhl, you are only located half a mile from the variety of entertainment that Downtown Las Vegas has to offer. Not only is there plenty of entertaining options to pick from, but have you seen all the amazing lights? Even though Las Vegas is a city in the middle of the desert, and does reach some record-breaking temperatures, this city’s year-round temperatures are some of the main benefits of living in Las Vegas! With the winter months averaging a high temperature of 58° and a low temperature of only 34°, Las Vegas isn’t looking too bad when you compare it to the Midwest and East Coast. Even when it’s mid-summer and reaching near 115°, there are 50+ Las Vegas pools to beat the heat. Give thanks this holiday season for not having to purchase a big winter coat, for the non-existent sidewalk and road ice, and for lower power bills as we officially embrace the “winter” of the desert. Although there are a good number of people that were born and raised in Las Vegas, many residents have migrated from elsewhere, in search of new opportunity. That’s why this season, we’re giving thanks for the many job opportunities that Las Vegas has to offer its residents. According to the Las Vegas Review-Journal, at the beginning of 2018, Nevada is adding jobs at the fastest rate in the nation, and in 2017 Nevada experienced the top employment growth rate in the country. 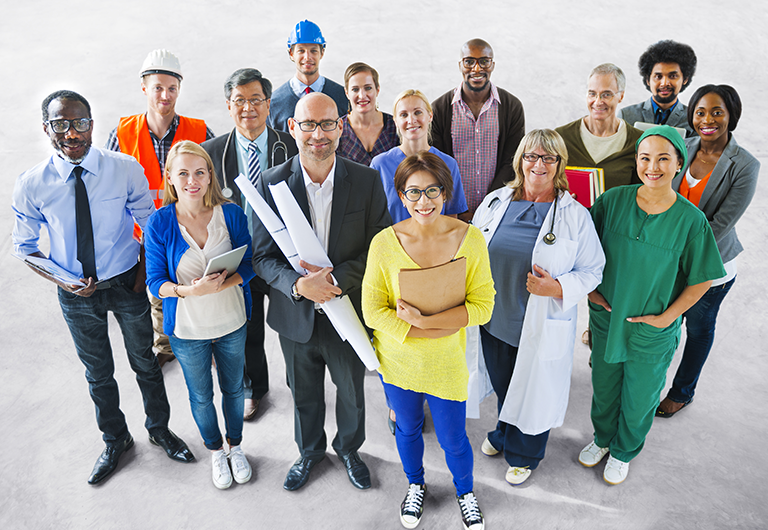 Not only does Nevada continue to offer jobs within the construction, leisure, and hospitality industries, but job opportunities from all sectors continue to gain traction as well. Las Vegas offers a great environment with a lower cost of living, low taxes, and opportunities for growth within your career. As the city continues to grow, Las Vegas residents can give thanks for some of the fastest growing careers in the area. Last but certainly not least, the locals and tourists of Las Vegas are thankful for the variety of food options and local hidden gems in the area. Are you craving Thai food? Deep dish pizza? The greatest burger of your life, or a “too expensive but totally worth it” steak? It’s highly likely that you will be able to find everything you could possibly want in a matter of seconds, which is a delectably delicious reason to move to Las Vegas. It’s safe to say that this holiday season, we can be thankful for full bellies and delicious dishes. 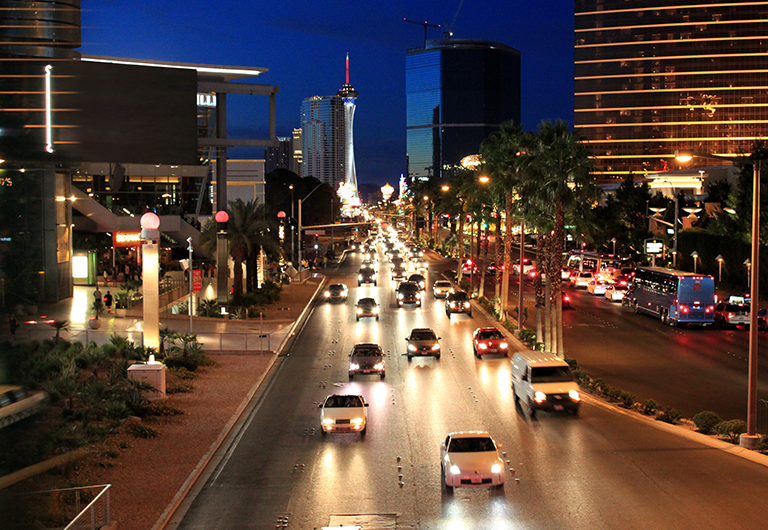 There are many benefits of living in Las Vegas because the city offers a unique way of life and special home for its residents. Give thanks this holiday season and enjoy the many offerings that this desert oasis provides for its family.